From gentle treks through the trees to the rolling terrain of our black diamond cross-country skiing trails, Crystal Mountain’s 30+km cross-country skiing trail network provides terrain for all ability levels, from novice to expert. We even have 4K lighted for night skiing. Trails are meticulously groomed for both skating and classic style skiing. Meticulously-groomed for both skating and traditional cross-country skiing, these picturesque northern Michigan cross-country skiing trails were rated #1 in Michigan by Michigan Living magazine readers. 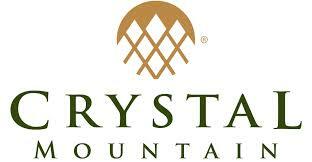 Crystal’s Nordic Pro Shop carries a bountiful selection of cross-country equipment and adventure clothing. Everything necessary for the adventure-minded enthusiasts. Open daily. Crystal’s private and group cross-country skiing sessions will encompass a thorough overview of the chosen technique, how to dress for the elements, waxing and equipment care. Private Lessons: Offered daily. $35 includes one-hour instruction and Trail Pass. Add rental equipment for $10. Group Lessons: Offered daily. A minimum of three people required for group lesson. $25 includes one-hour instruction and Trail Pass. Add rental equipment for $10. Advance reservations required. Please call (231) 378-2000 ext. 4000. Snowshoeing is allowed anywhere on Crystal’s property, EXCEPT groomed and trackset cross country trails. Snowshoers are asked to stay off the groomed ski tracks. A special treat is a hike through the Michigan Legacy Art Park! For more information and snowshoe rentals, call our Mountain Adventure at (800) 968-7686, ext. 7000. For more information call 800-968-7686 ext. 4000, check out Crystal’s website at crystalmountain.com. Cross country trails were touched up again this morning with the groomer for fast skating lanes and tracks. It should soften up as temperatures rise. Rentals and trail passes are available at the Kinlochen Pro Shop: 888-968-7686 ext. 4000.